I've been meaning to do SO much with windows, and now I finally have the chance! Today I have some larger sized Bon Voyage windows. These are repository linked to the Bon Voyage windows, so Bon Voyage is required. 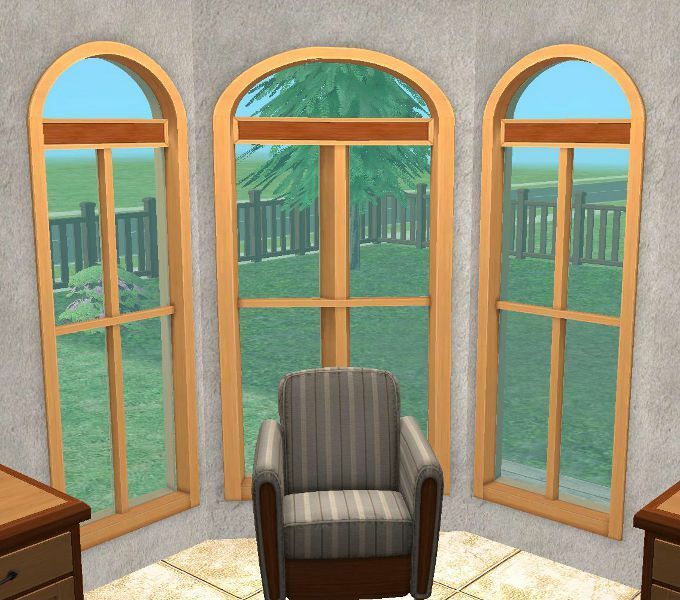 They will pull any Maxis recolors of this particular window as well as custom recolors. To recolor instead recolor the original Bon Voyage hotel windows, and not these. Enjoy! The Bon Voyage window is one of my favourite windows, thank you very much for this Jon.